Victron’s EasySolar and SimpliPhi’s lithium batteries are the perfect combination for tiny house living. 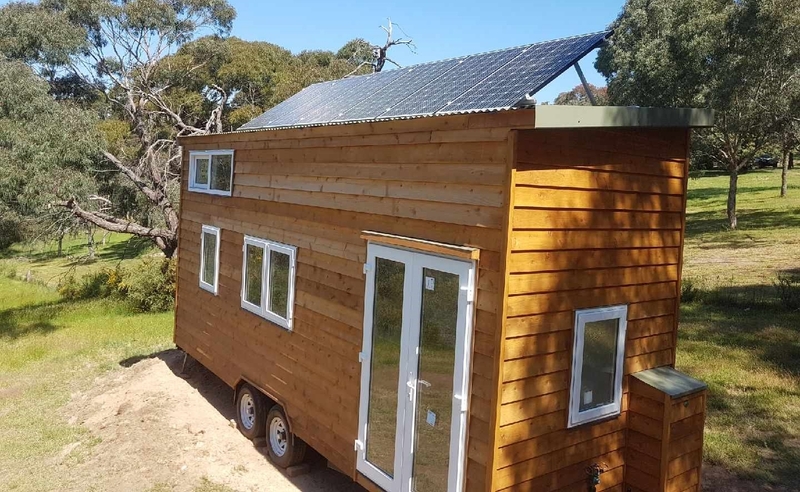 Matt Wilson of Central Spark Victoria has designed and installed dozens of on and off-grid solar and battery systems, but when he was asked to design a solar and battery system for the owner of this central Victorian tiny house he needed to think small and light. With limited space and location options and a limit to how much the system could weigh, the Victron EasySolar system, coupled with SimpliPhi’s lithium Ferro Phosphate battery technology, provided the perfect solution. 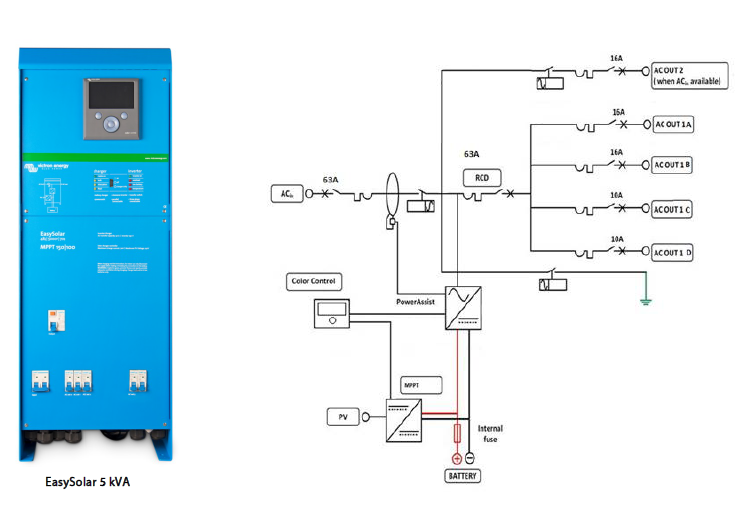 The Victron Easysolar’s are an all in one inverter/charger, solar charge controllers, RCD and fuses. The range includes 12v, 24v and 48v battery bank compatibility and with continuous output from 1600VA to 5000VA. There are five units in the range which are the: 12/1600, 24/1600, 243000, 48/3000 and 48/5000. The three larger units come with a Color Controller built in for programming and control. The SimpliPhi lithium batteries utilise the safest battery chemistry, LiFePO4. More batteries can be added later if more storage is needed. 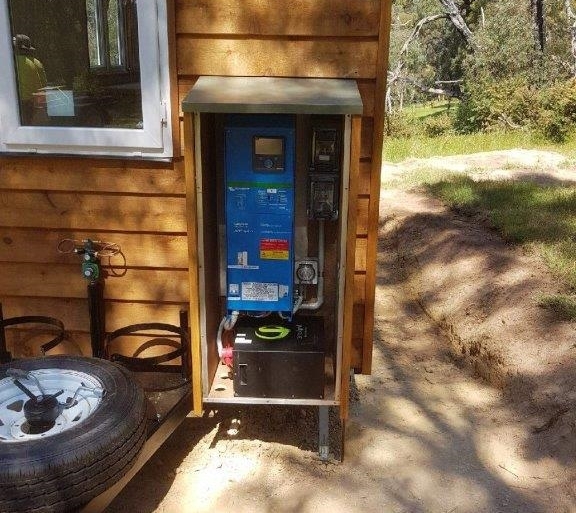 Each battery can supply 3.4kWh of storage so this is a perfect match for the needs of a tiny house. DPA can assist installers with all the required technical data sheets and documentation for your tiny house design project. For enquiries about our range of Victron all in one inverter/chargers or SimpliPhi lithium batteries please enquire here or call 1300 447 500. If you’re an installer or builder and not already registered to see all our DPA pricing, you can create an account here. Great innovation. Would like to know more about the product, regards export potential.